become compulsory from 1 July 2018. 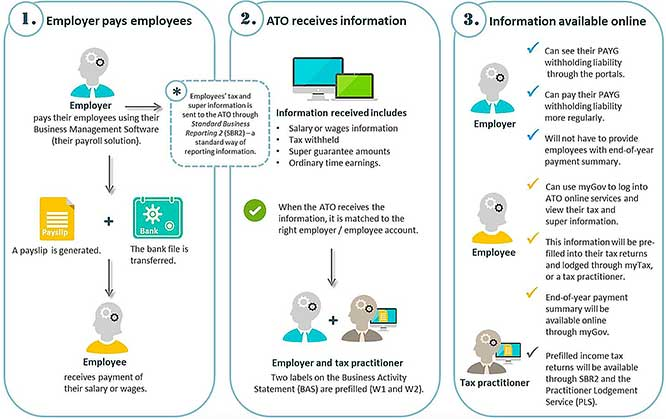 When a business pays its employees, the payroll information will be sent to the ATO via the business’s payroll software. Employers with 20 or more employees will need to start reporting through STP from 1 July 2018. You will report salary or wages, pay as you go (PAYG) withholding and super guarantee information to the ATO when employees are paid. To determine if you are required to report through STP, you will need to do a headcount of employees on 1 April 2018 (more below). You may have the option to invite employees to complete tax file number (TFN) declarations and super standard choice forms online. Payroll software will need to be updated to a version that supports STP. If your software was already STP enabled, you could have already been able to report through STP from 1 July 2017. Do a headcount of the employees you have on 1 April 2018 – Count the number of employees you have on your payroll on 1 April 2018 to find out if you are a “substantial employer”. If you have 20 or more employees on that date you will need to report through STP. Update your payroll solution when it’s ready – Right now, payroll software and service providers are updating their products. A software product catalogue is available on the Australian Business Software Industry Association (ABSIA). The catalogue will be updated as payroll solutions are STP-enabled. 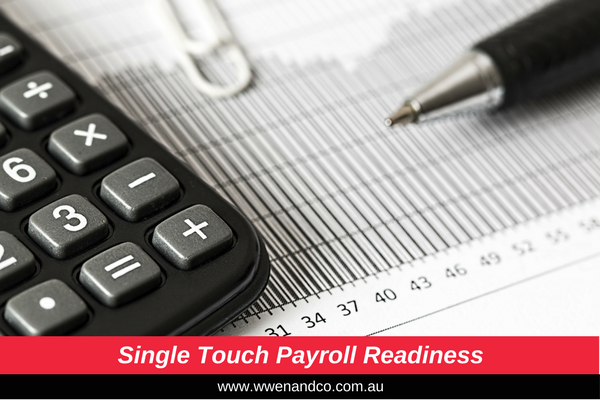 Start reporting through Single Touch Payroll – You can start reporting when your payroll solution is ready. You will not be penalised. You will not be liable to pay a penalty for a late report during the first 12 months you are required to report through STP, unless the ATO first gives you written notice advising that a failure to report on time in the future may attract a penalty. It’s okay if you make a mistake. When you start reporting through your STP-enabled payroll solution, you will be able to correct any errors you make in a later STP report. PAYG withholding payments. You will still have the option to pay your PAYG withholding more regularly, for example, when you pay your staff. However, there is no change to current payment due dates. Who is and is not an employee for the purposes of single touch payroll?